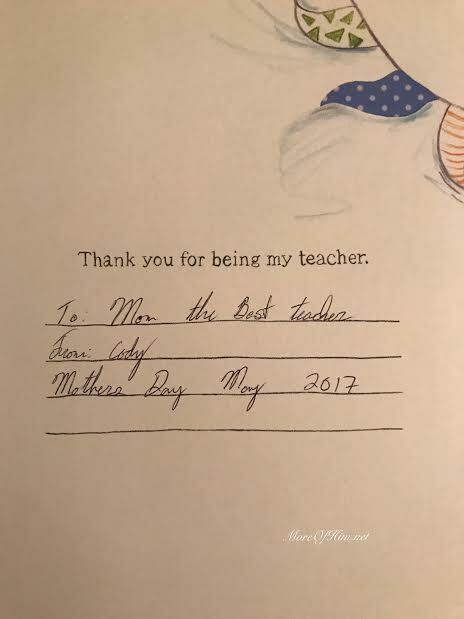 I received the sweetest, most thoughtful gift, from my youngest son for Mother's Day. It's something I will cherish always as he really thought about me and honored me in a way that truly blessed me. 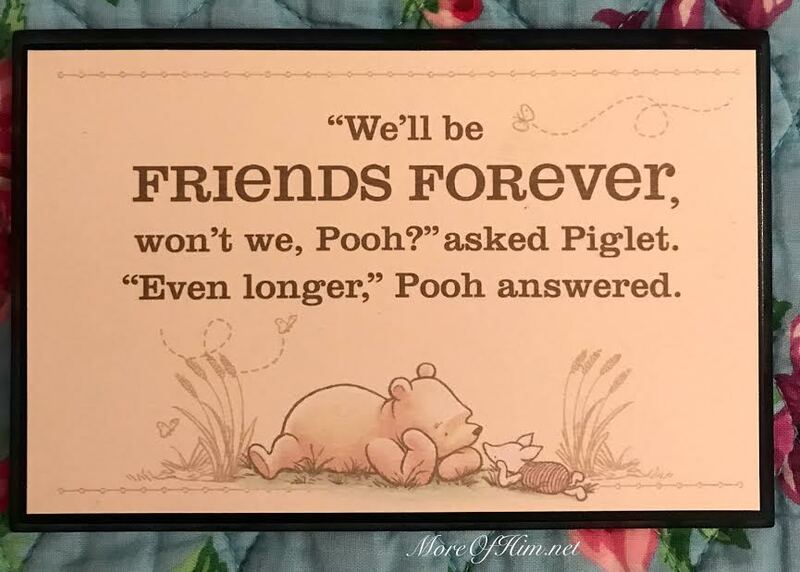 The Pooh plaque is so perfect - Pooh and Piglet confirming their friendship. 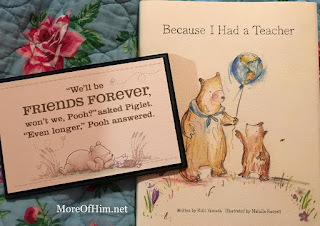 It's the adorable original Pooh illustrations that I love so much. 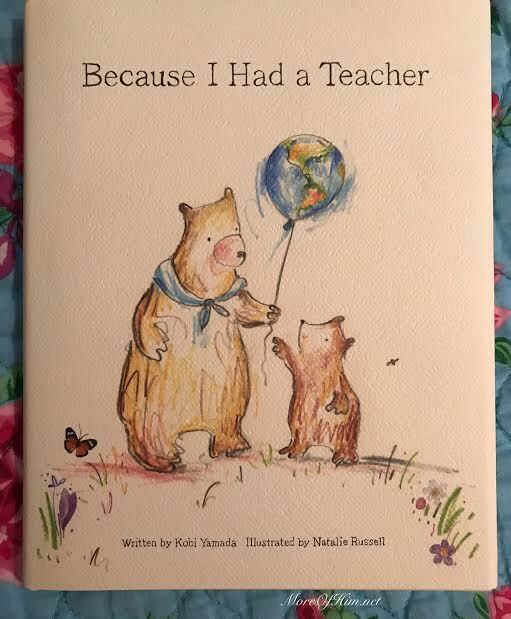 Next to the plaque, we have the book, "Because I Had a Teacher". Isn't this absolutely precious? I have put it on the wall next to my bed so as I'm going to sleep and waking up, I see it. 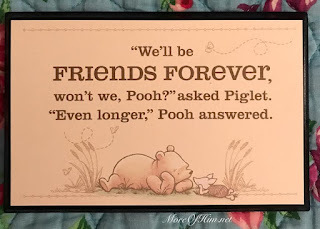 It brings me such joy as I know my son and I will, indeed, be friends forever. Then we have this amazing book. I was so touched that he honored me as his teacher. *sniff* As a homeschool mom, I gave everything I had to help my children learn and become better than I ever will be. The illustrations in this beautiful book are so sweet! 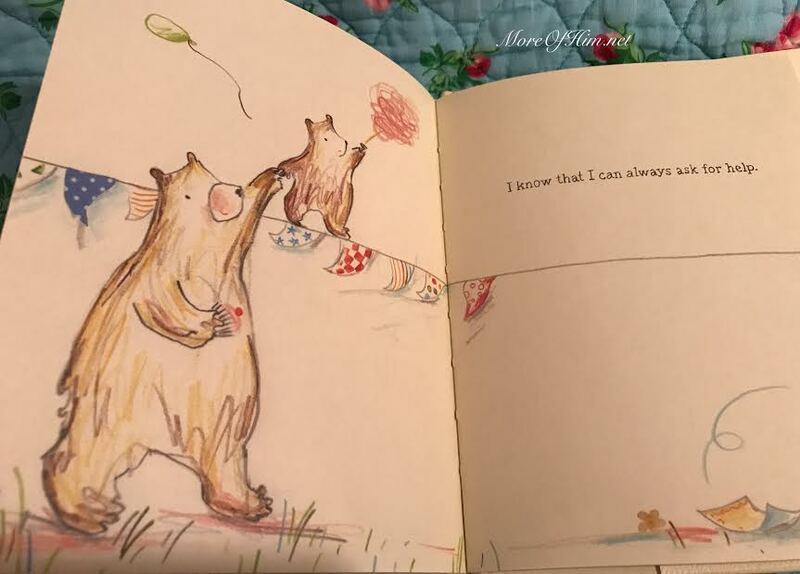 They rather remind me of the original Pooh illustrations. Adorable, yes? The whole book is about what his teacher means to this little bear. He inscribed the inside for me and I love what he says, "To: Mom - the Best Teacher". I have tears in my eyes just typing this. This was the most thoughtful gift! I am going to put the book in my new cabinet I just got (pictures next Tuesday) so I can see it all the time and also give it a place of honor.